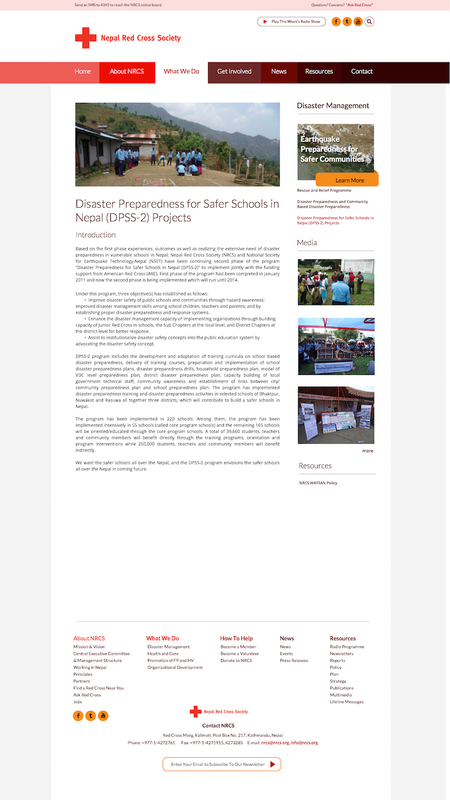 The Nepal Red Cross Society is one of the largest humanitarian organizations in Nepal. While working with Young Innovations, Pvt. 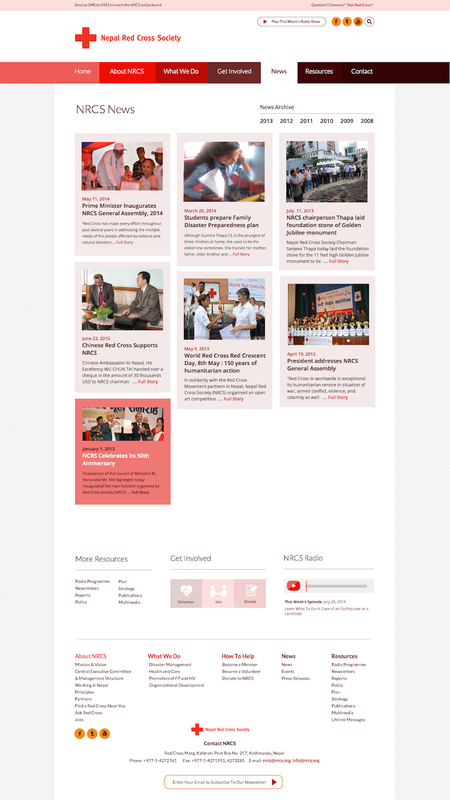 Ltd. in Kathmandu, I developed a complete re-design of the NRCS site. With all the work that NRCS does, it became paramount to organize their programs and resources intuitively. 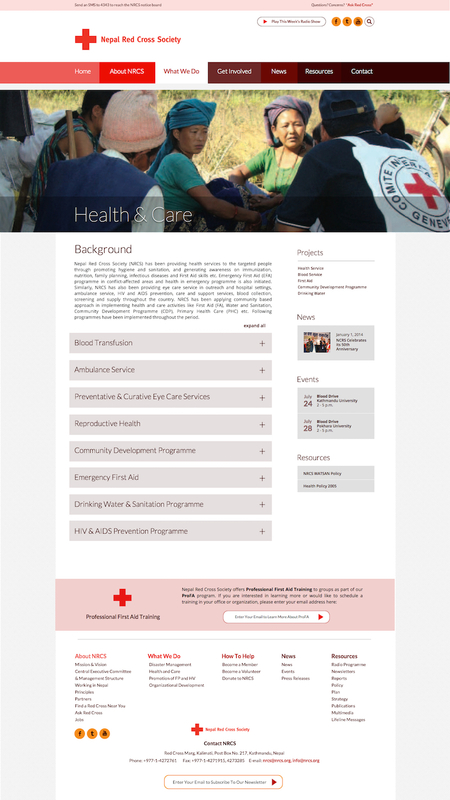 Using the trademark red of Red Cross societies worldwide, I created a palette which carries through the entire site. I also highlighted their radio programs, and emphasized a call-to-action for volunteers and donors.